Kraft presents Oreo cookies once again as the choice of children in “Library” (Biblioteca), a television commercial released recently in Argentina. 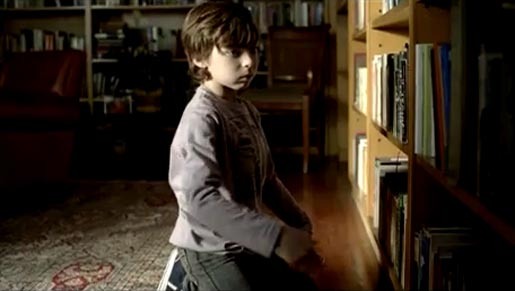 DraftFCB Buenos Aires uses the context of a home library to highlight the way children see the world differently to adults. Self help books are just what this boy needs to get to his glass of milk and a packet of Oreos. The Library spot was developed at DraftFCB, Buenos Aires, by executive creative director Javier Campopiano, creative director Lulo Calio, copywriter Javier Agena Goya, Claudio Brutto, Lucas Bongioanni, agency producers Martin Mainetti and Gabriel Lancioni. Filming was shot by director Martin Hodara via Palermo Films with producer Demian Cosentino, director of photography Julian Ledezma, executive producer Pablo Terruzi, head of production Jonsi Metsz, assistant director Martin Carranza, art director Marcelo Chavez, costume designer Conni Balduzzi. Post production was done at PostMedia by Jose Becker. Editor was Adrian Perez. Telecine was produced at Cinecolor. Sound was produced at No Problem Sonido, Buenos Aires. Music is by Yompi.